Creating A Network Can Get You Hired! Searching for jobs can be a tough and discouraging process, but you don’t have to go it alone. By establishing a social network of other professionals, you can greatly improve your chances of making contact with potential employers. By cultivating a career network you’ll also have an easier time accessing information about companies you’d like to work for, job markets, hiring processes and potential new career fields. You also open yourself up to resources who can review your resume and offer helpful advice about where to start your search. And it’s all a lot easier than you might think! To begin with, be open-minded about who you’d like to include. Just because you specialize in a specific field doesn’t mean your professional network needs to end there. Diversify! The more people you know and make contact with, the better your chances are of being connected with hiring managers and potential bosses. In addition to attending meetings, events and mixers, in today’s hyper-connected world it’s essential to make your mark online and carefully build your digital presence. 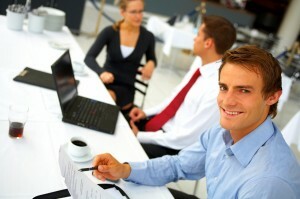 With tools like LinkedIn, Facebook and Twitter, social networking has become easier than ever. Take care in establishing your digital brand so that when employers go looking for specific skills and qualifications, your profile stands out. Actively participate in online discussions and forums, and when you’re able to, offer advice. This can help set you apart as engaged and co-operative, qualities employers love. By staying on top of new online networking tools you’ll also show that you’re flexible and able to roll with the trends. Once you’ve established a network of professionals, make the effort to keep in touch! It can be hard reaching out to strangers to ask for advice or request a recommendation, but by simply maintaining contact, even after you’ve secured a new position or given the job hunt a break, you’re more likely to be remembered and offered assistance when you need it. Keeping in contact may simply mean sending a brief email every month or so to say hello and see how your connections are doing. It could also mean staying plugged into your online networks, and contributing assistance and advice when you can. People are more likely to help those they know and remember, so it’s important not to be a stranger! By putting to use these simple tips, you should be able to get the ball rolling on your own career network and give your job search an added boost. In career development as in life, it can take a village, so get to work on establishing yours!